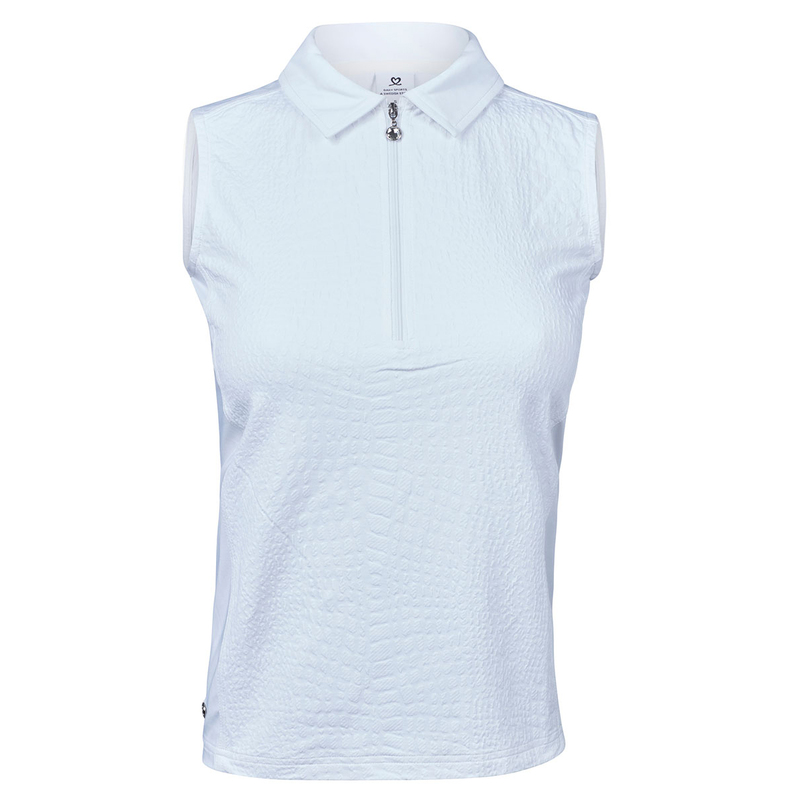 This beautifully styled piece of golf clothing, has been designed from a high performance Croco jacquard jersey material. 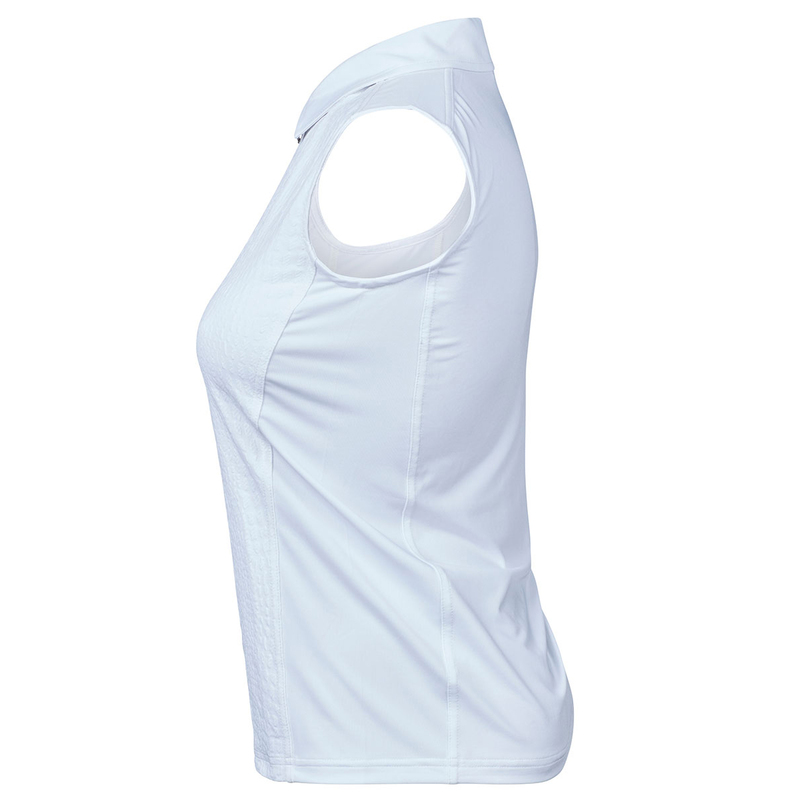 Further enhanced with stretch to give you the confidence and movement to play your very best game. 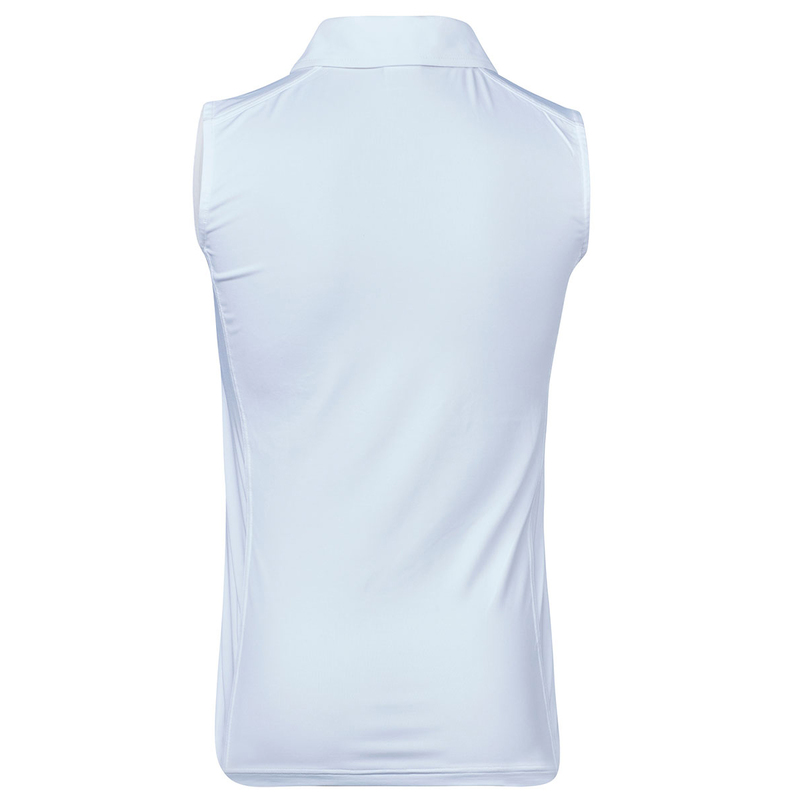 The shirt has been developed to perform, with an exclusive quick dry fabrication that has rapid moisture absorption, and breathable fabric to ensure less distraction during your round of golf. The design features a fold over collar, with front zip opening, which is highlighted with a sophisticated glass stone zip pull.